After months of anticipation and few photos here and there, the first teaser trailer for “Fantastic Beasts and Where to Find Them” has been released. 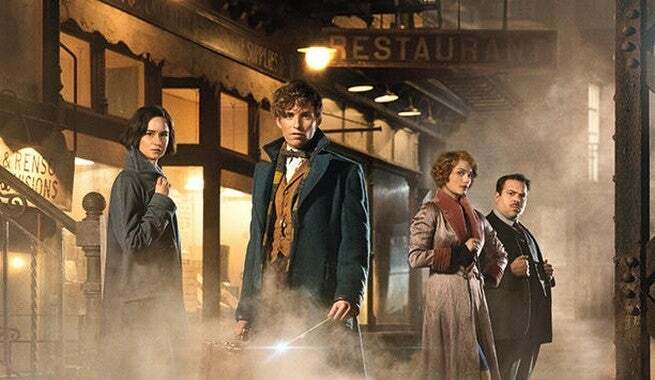 The trailer does its job of teasing the plot of them film which will feature magical creatures running amok in New York after escaping Newt Scamander’s briefcase. Eddie Redmayne and Katherine Waterson are both seen in their roles as Scamander and Tina respectively as well and Redmayne is even shown casting a spell. Like the previous “Harry Potter” films, this prequel features a huge ensemble that not only includes Redmayne and Waterston but also Alison Sudol, Dan Fogler, Samantha Morton, Carmen Ejogo, Ezra Miller, Colin Farrell, Ron Perlman, Faith Wood-Blagrove, and Oscar-winner Jon Voight. J.K Rowling has written the script while David Yates directed the film which is set for release November 18th, 2016.